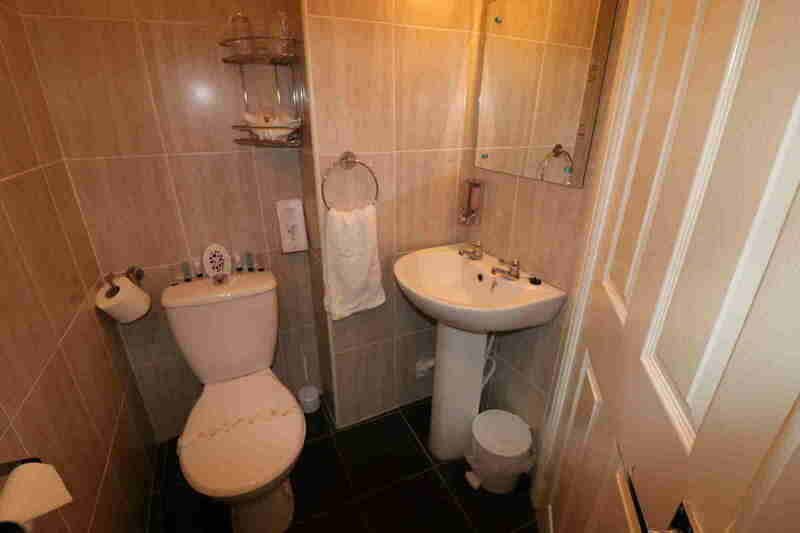 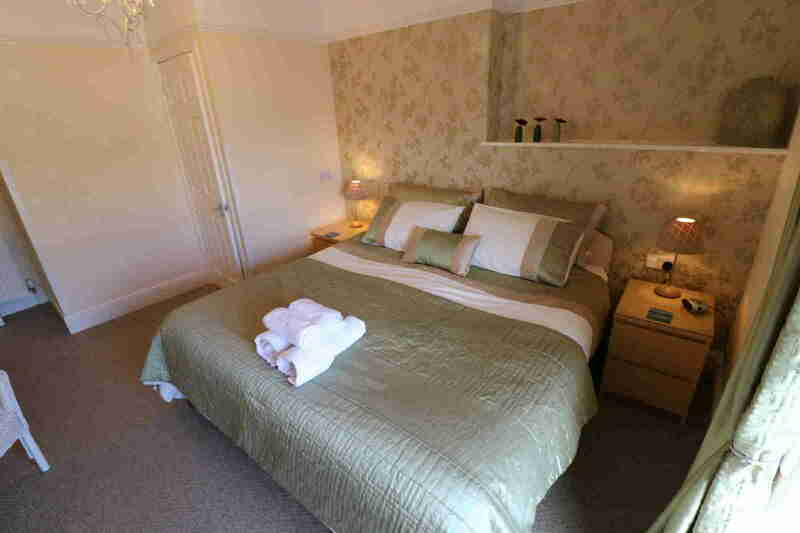 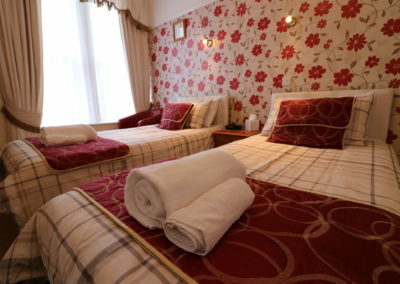 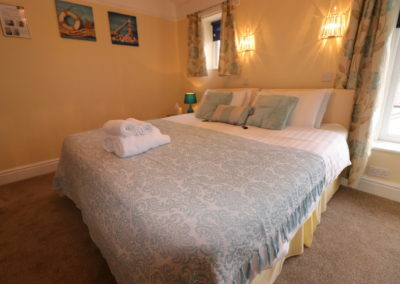 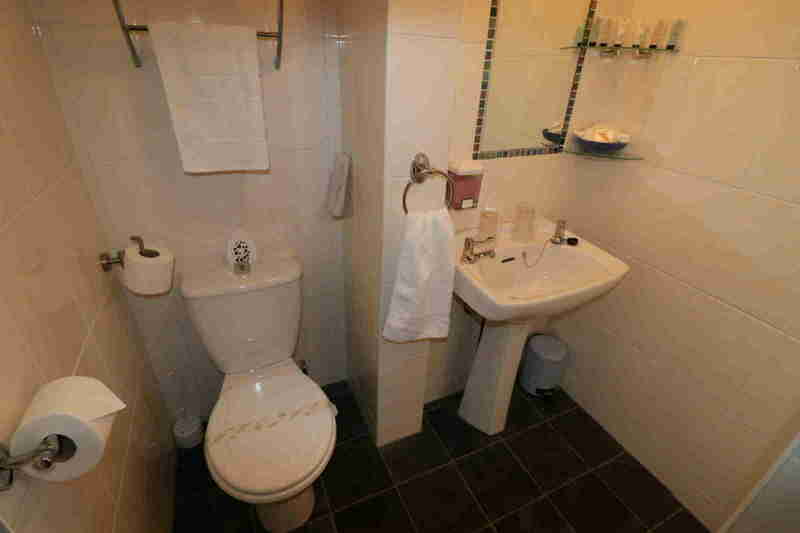 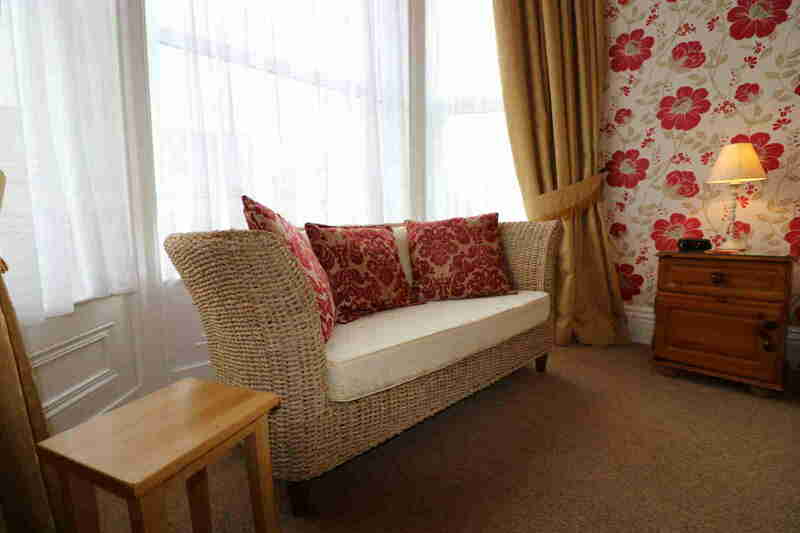 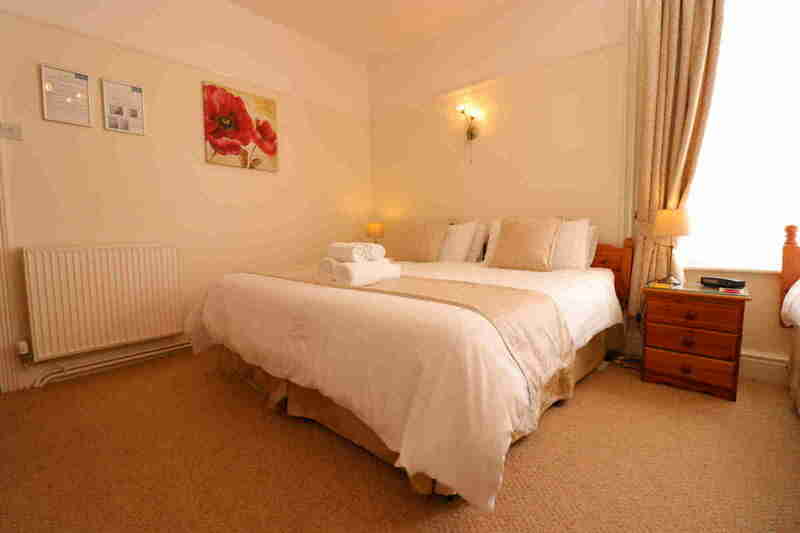 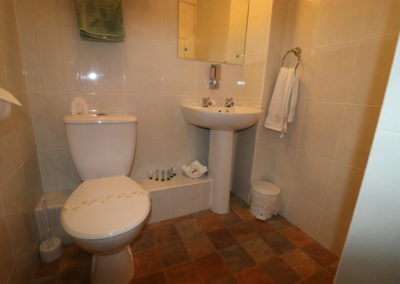 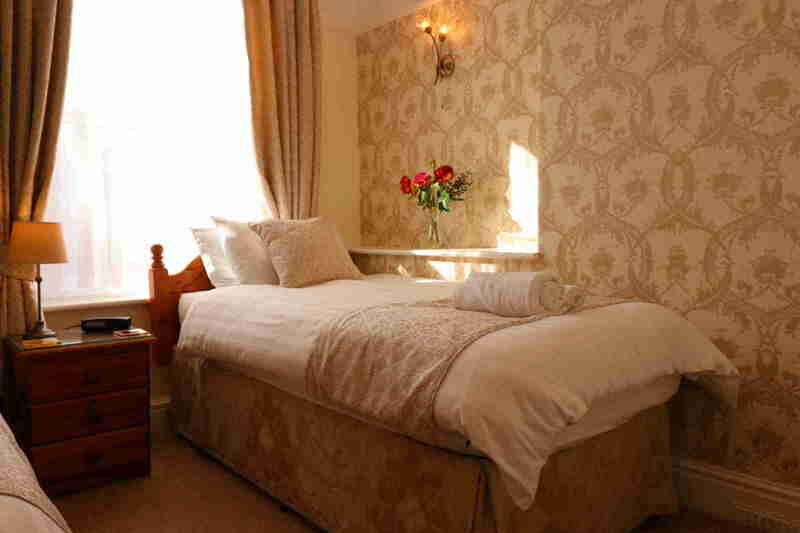 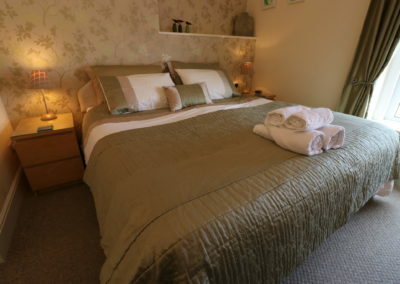 Room 2 is an extremely comfortable en-suite double room on the first floor. This room boasts an expensive luxury memory foam and pocket sprung double mattress to ensure a relaxing and well supported night’s sleep. 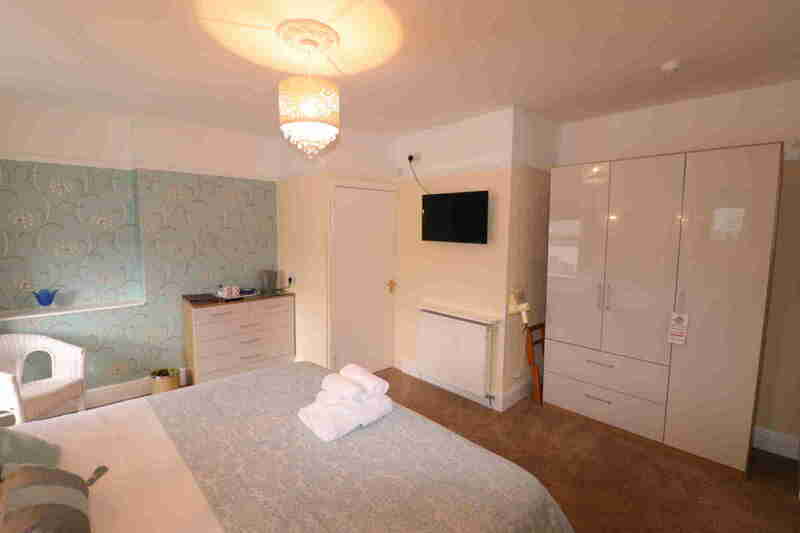 A chest of drawers and wardrobe (complete with safety deposit box) provide more than ample room for all of your clothes and personal effects. 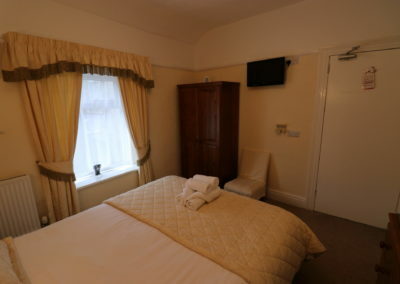 The room also has all of the items you would expect from a modern guesthouse; tea/coffee making facilities, towels and toiletries, hairdryer, flat screen HD TV (with freeview). 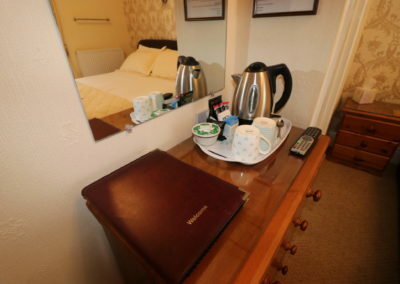 The room also benefits from a welcome book that not only provides instructions on accessing the free Wi-Fi network but also provides invaluable information regarding local amenities, must-see attractions and all of the best places to eat! 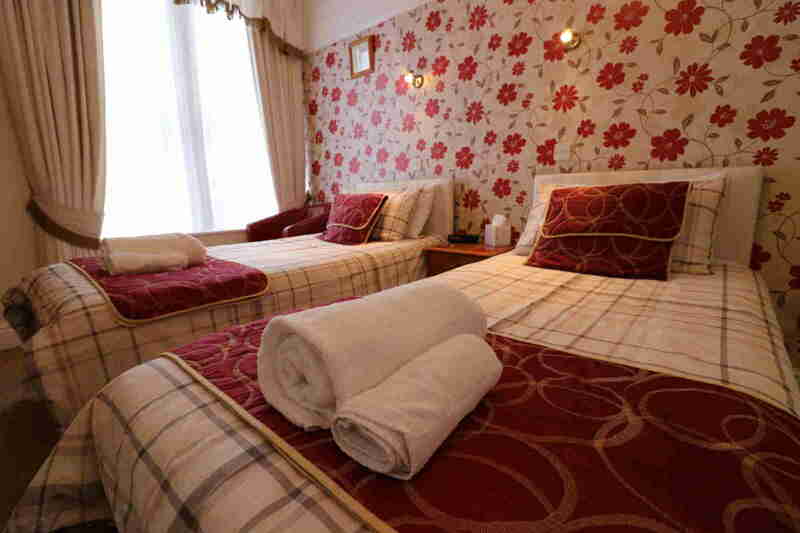 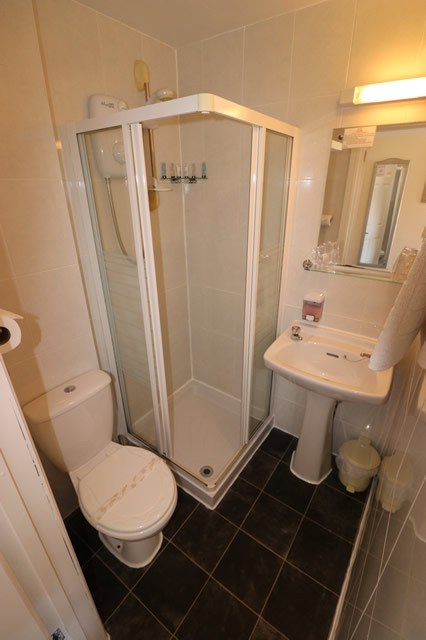 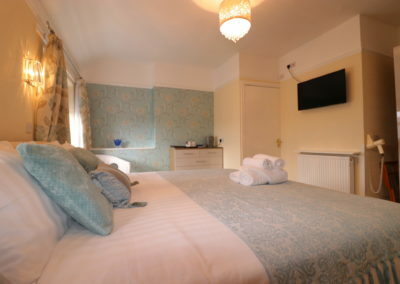 Room 3 is an extremely popular en-suite single room on the first floor. 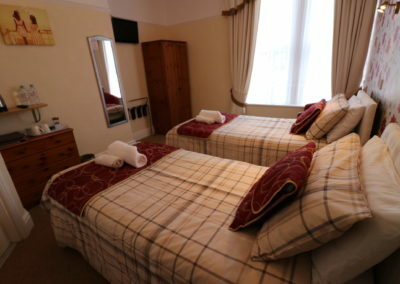 Room 4 is our Premier Double Room. 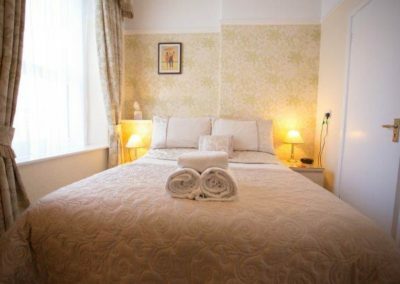 This first floor, street facing, guestroom is our largest double room and offers everything and more that you would expect from a modern guesthouse. 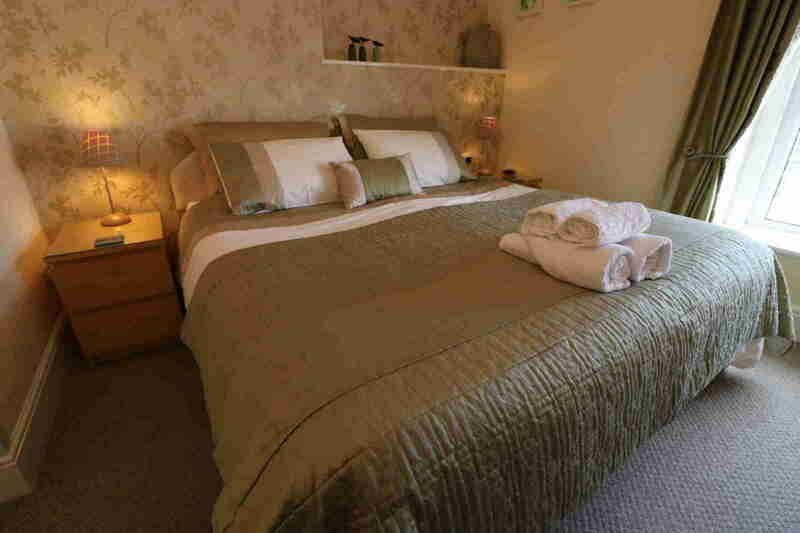 The Super-King sized bed guarantees more than enough space for both guests to enjoy. 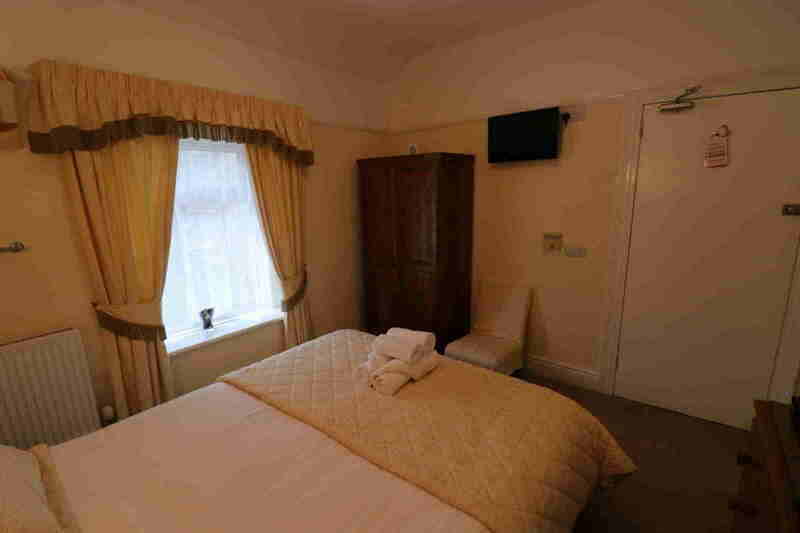 The room also has a two seater sofa, desk and chair, two bedside cabinets, wardrobe (complete with safety deposit box), a large flat screen HD TV (with freeview) and a DVD player. 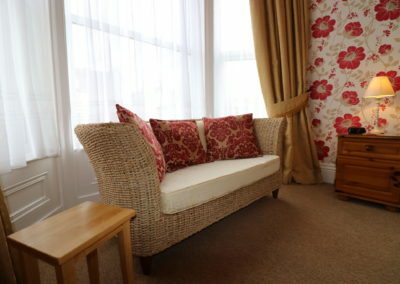 The large bay windows also ensure that the room is bright and fresh. 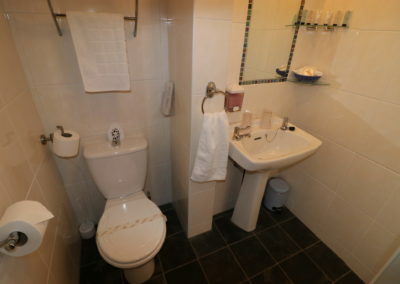 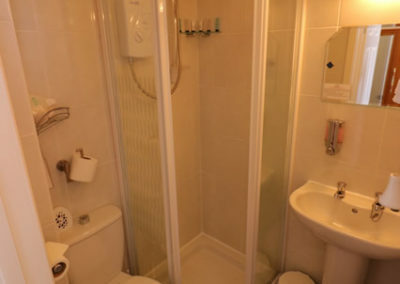 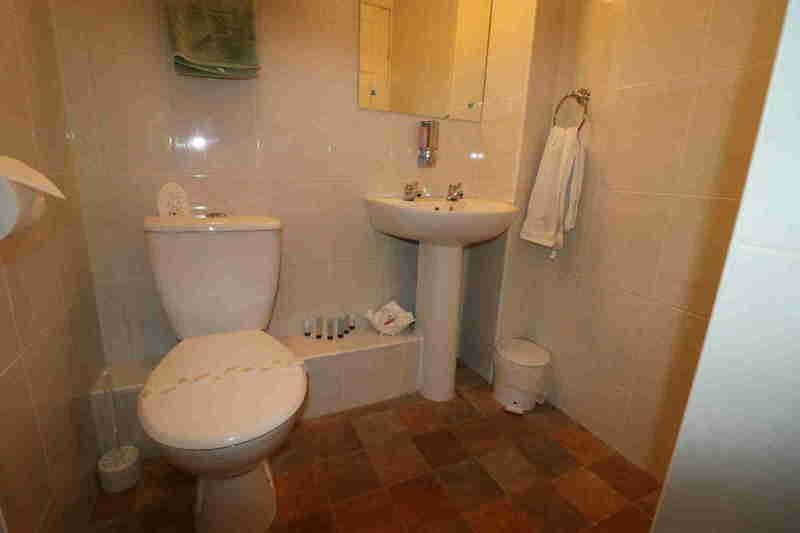 The room also has all of the items you would expect from a modern guesthouse; tea/coffee making facilities, towels, toiletries and a hairdryer. 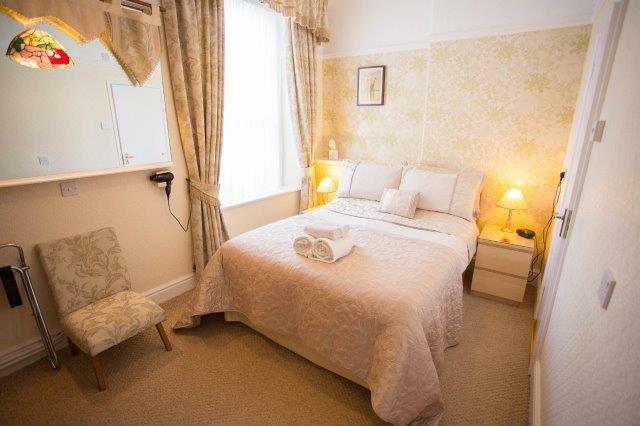 The room also benefits from a welcome book that not only provides instructions on accessing the free Wi-Fi network but also provides invaluable information regarding local amenities, must-see attractions and all of the best places to eat! 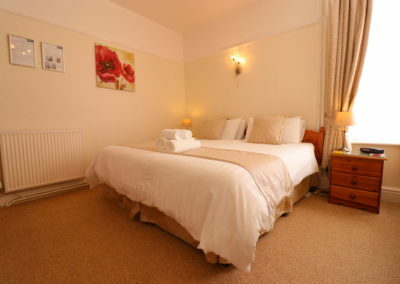 Room 5 is an en-suite King-sized double room on the second floor. 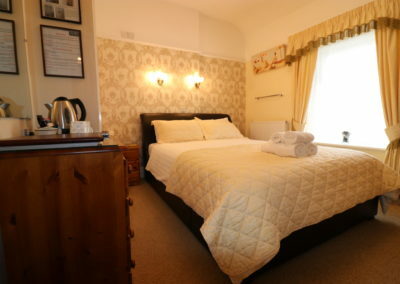 This popular double room has just recently been upgraded via a brand new leather King-sized bed and mattress. 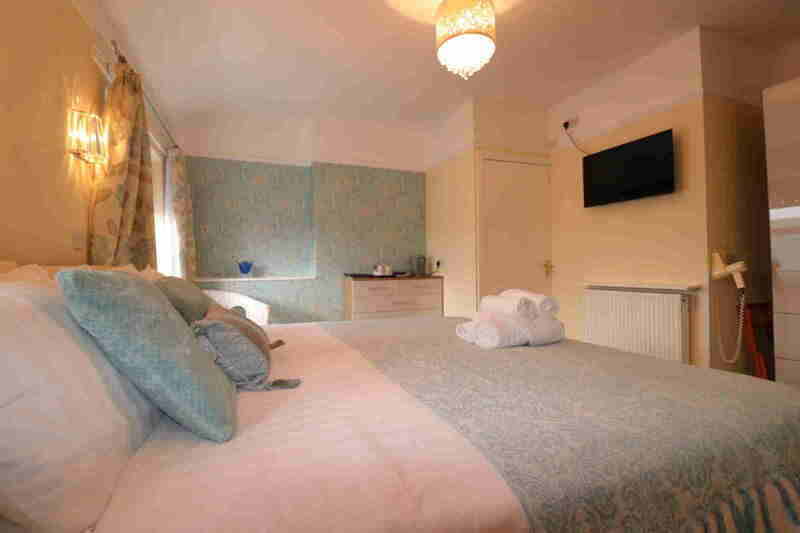 Being on the rear of the house, the room benefits from having sunlight until late in the evening and therefore the room is an extremely bright and warm room. 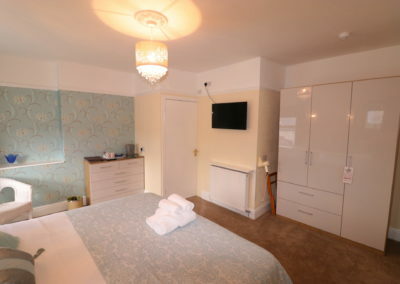 A chest of drawers and wardrobe (complete with safety deposit box) provide more than ample room for all of your clothes and personal effects. 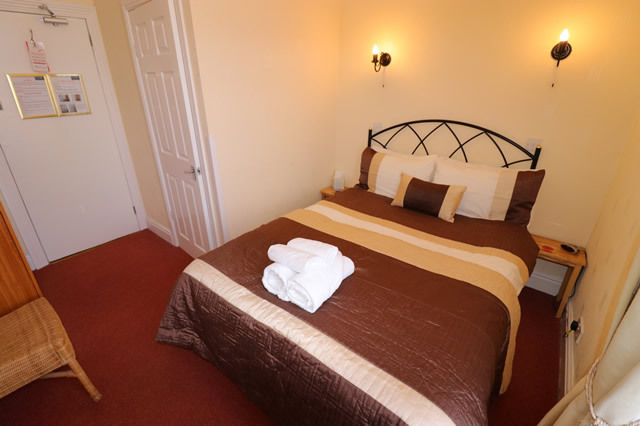 The room also has all of the items you would expect from a modern guesthouse; tea/coffee making facilities, towels and toiletries, hairdryer, flat screen HD TV (with freeview). 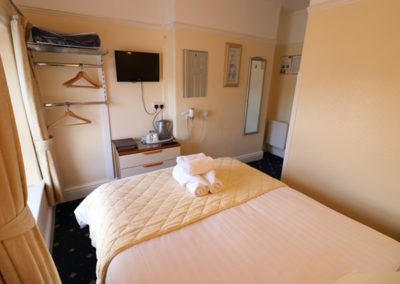 The room also benefits from a welcome book that not only provides instructions on accessing the free Wi-Fi network but also provides invaluable information regarding local amenities, must-see attractions and all of the best places to eat! 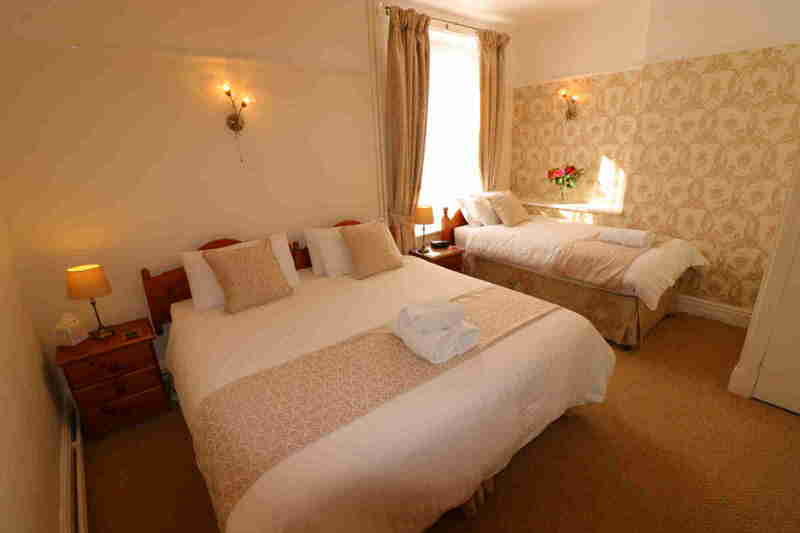 Room 6 is our en-suite family/triple room. 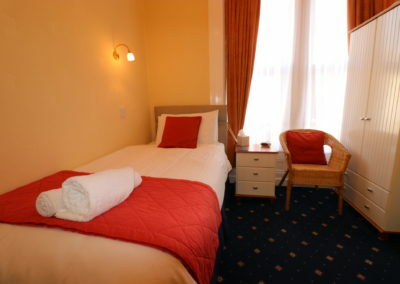 This versatile and spacious second floor room can accommodate a small family or a group of friends/colleagues. 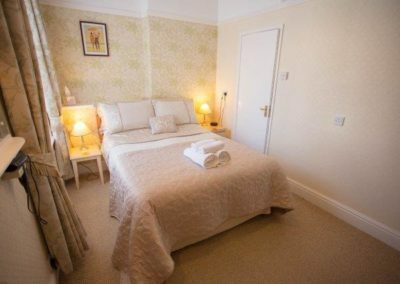 The room can be comfortably set out as a Super-King sized bed plus a single bed or as three single beds and due to its positioning to the rear of the house has direct sunlight from mid-morning until sunset, this is one of our warmest rooms. 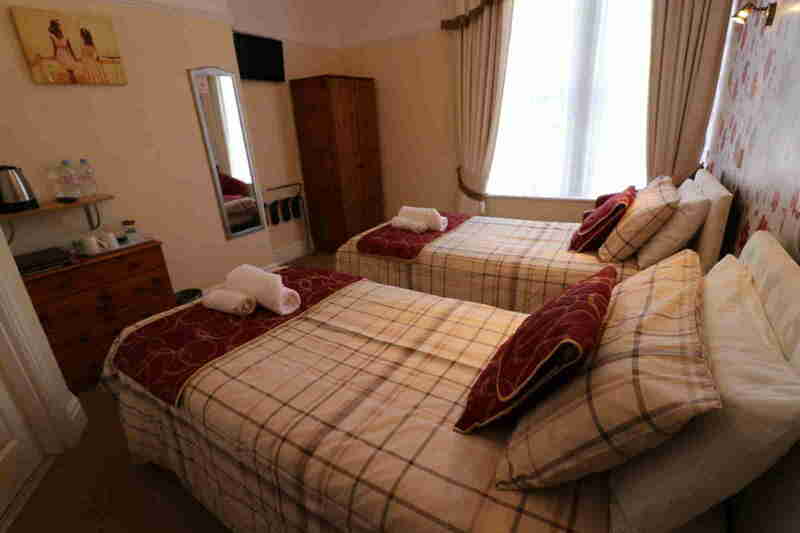 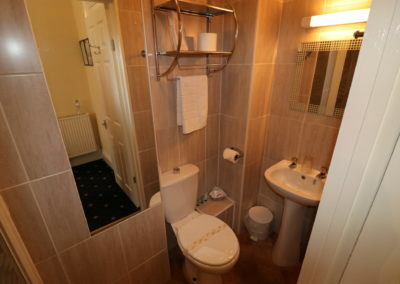 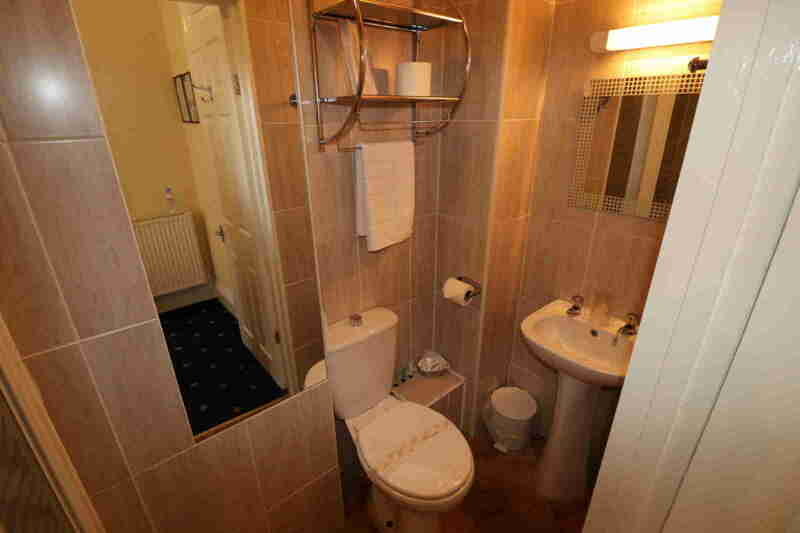 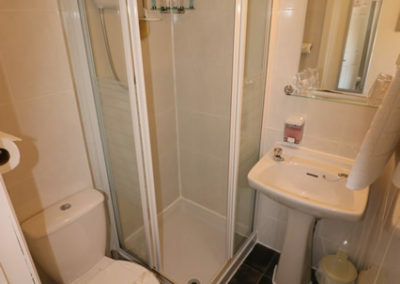 ‘Room 7 is an en-suite double room on the second floor. 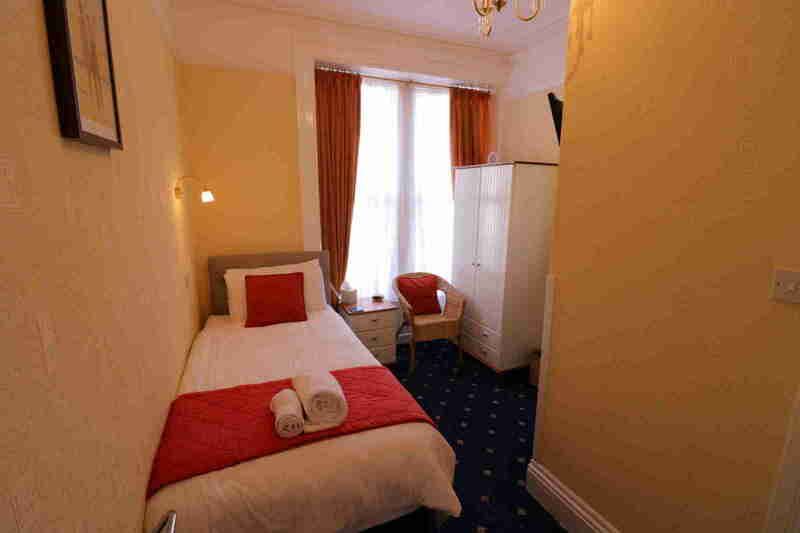 This street facing double room is perfect for a getaway on a budget with a £33 PPPN price (per person, per night). 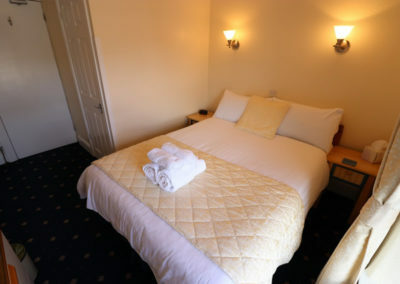 Despite its low cost no quality has been sacrificed and guests can still expect the greatest levels of service and comfort. 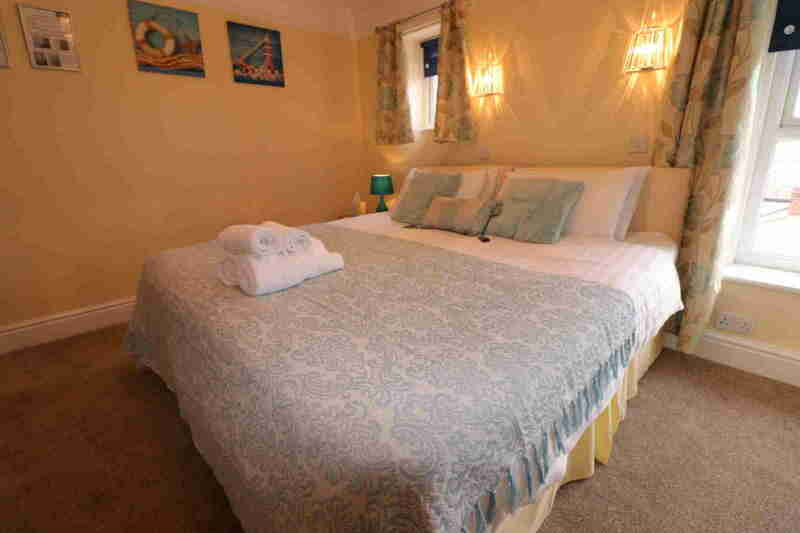 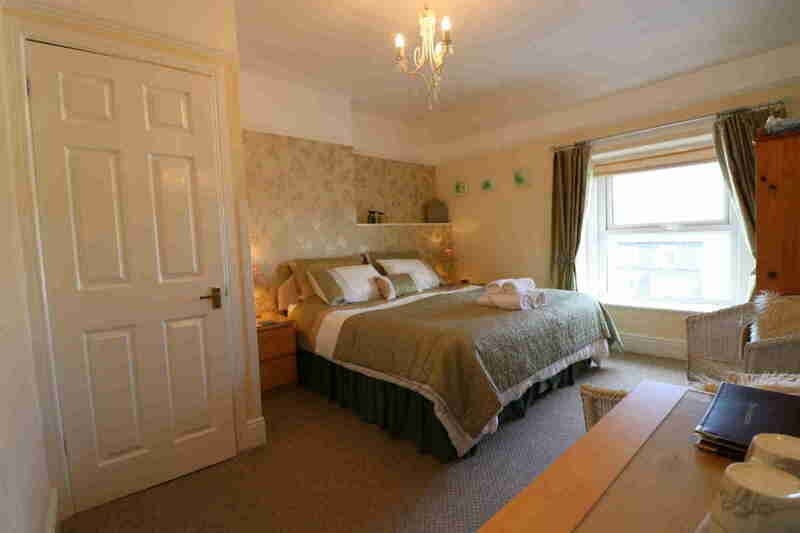 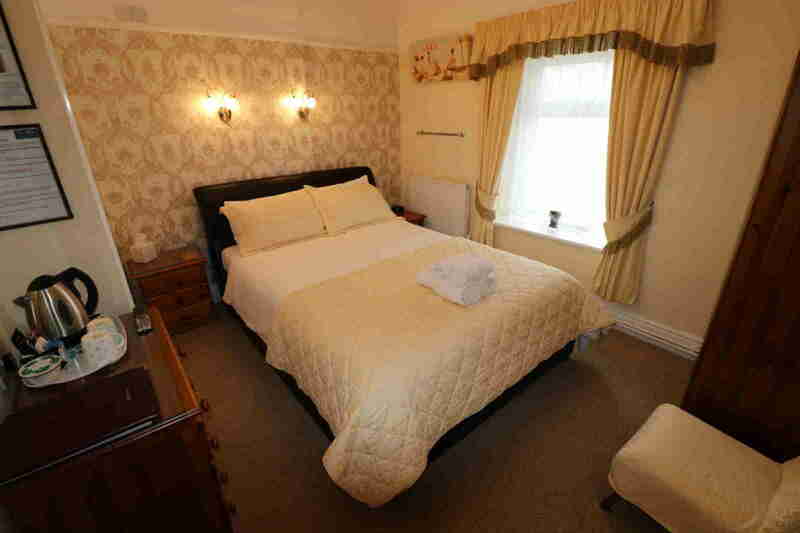 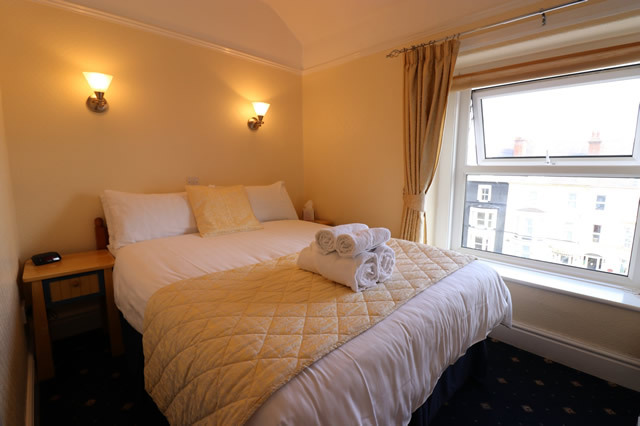 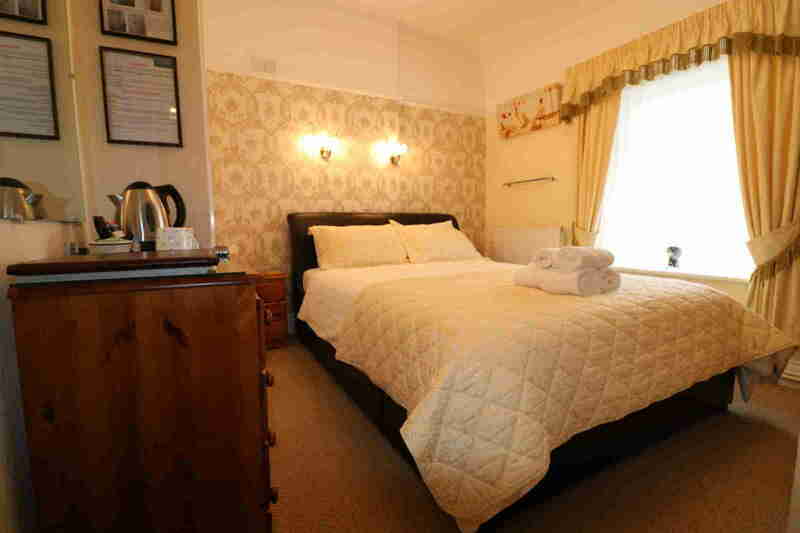 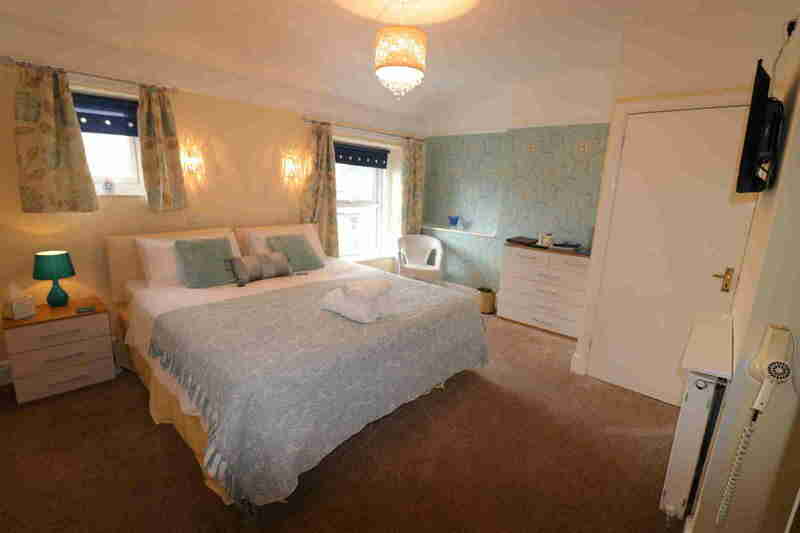 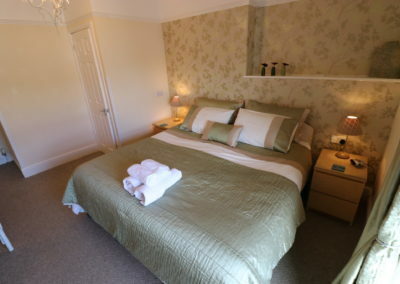 The room has just had a brand new double mattress to help ensure a relaxing night’s sleep and the large window ensures not only a view of the Great Orme but also that the room is extremely light and fresh. 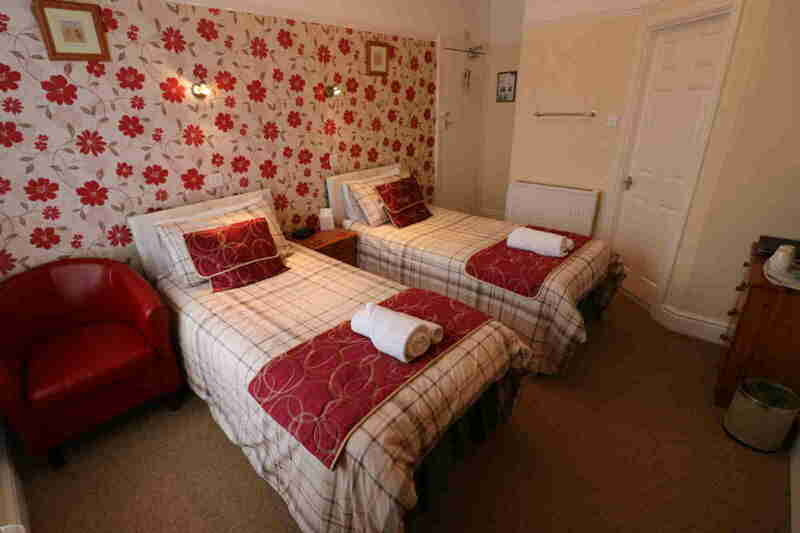 Room 8 is an en-suite twin/Super-King double room on the second floor. 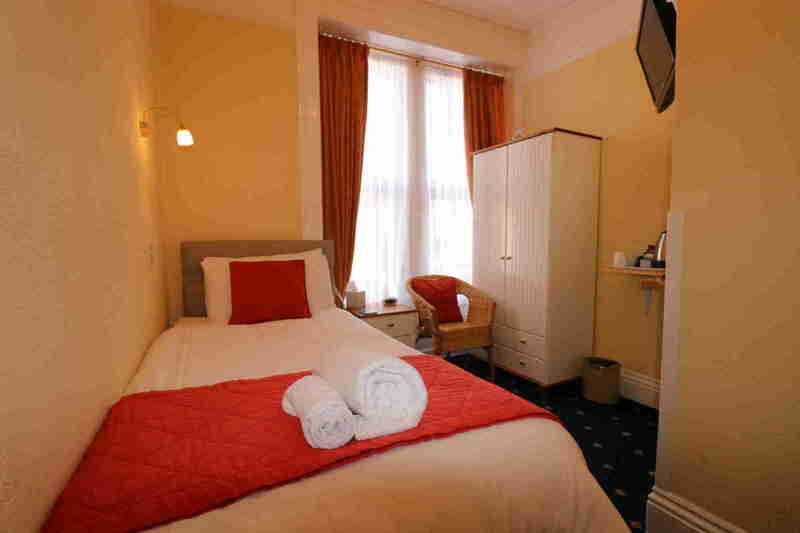 This extremely popular street facing room can be set out as two single beds or as a Super-King sized double bed; either way this is a very comfortable and spacious guestroom. 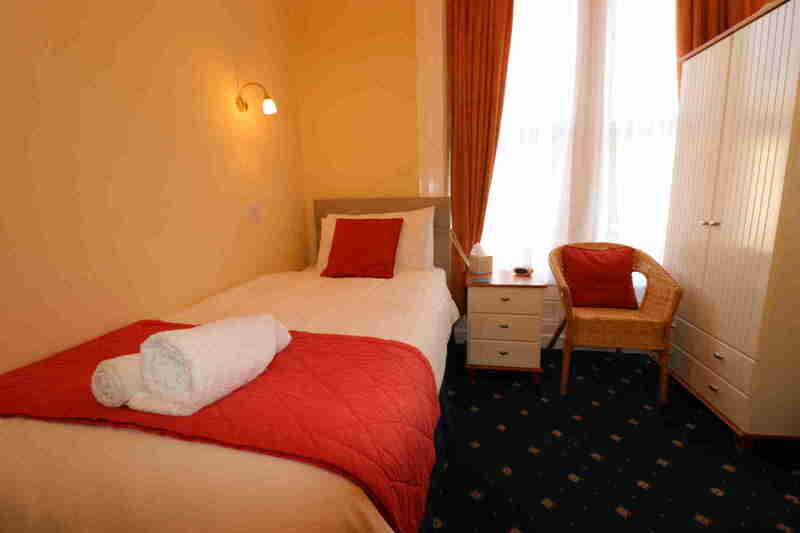 Room 9 is an en-suite Super-King sized double room on the third floor. 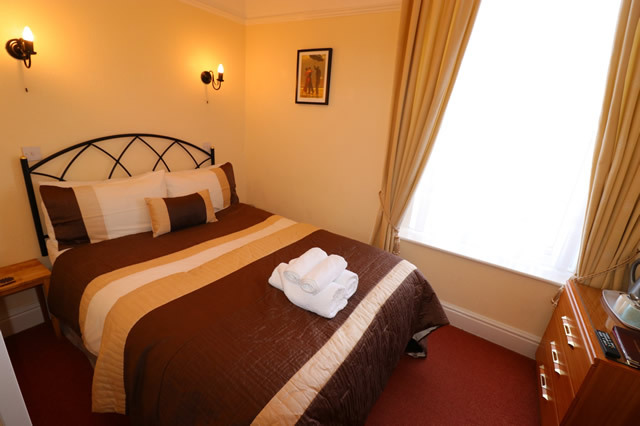 This luxurious and spacious room has a brand new Super-King sized bed and mattress guaranteeing comfort and relaxation. 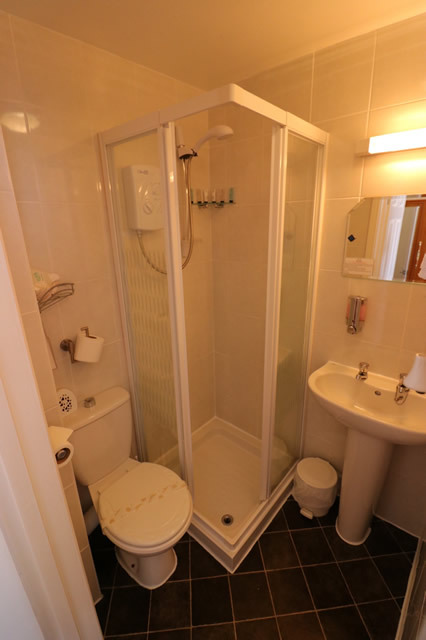 Its position on the rear of the house means that it has direct sunlight from mid-morning all the way through until sunset. 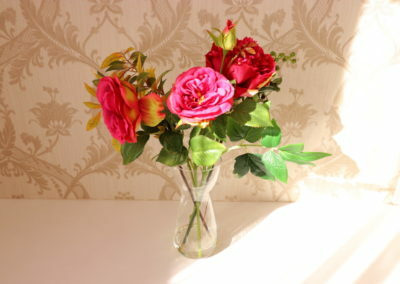 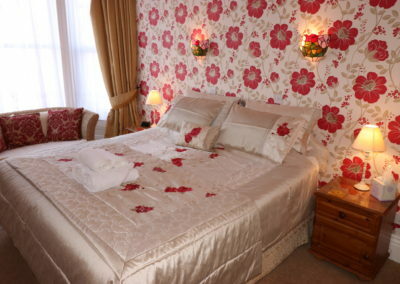 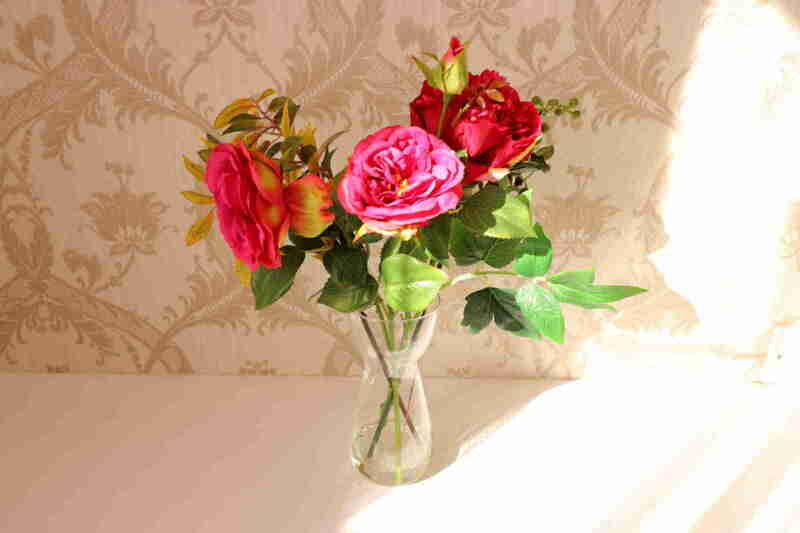 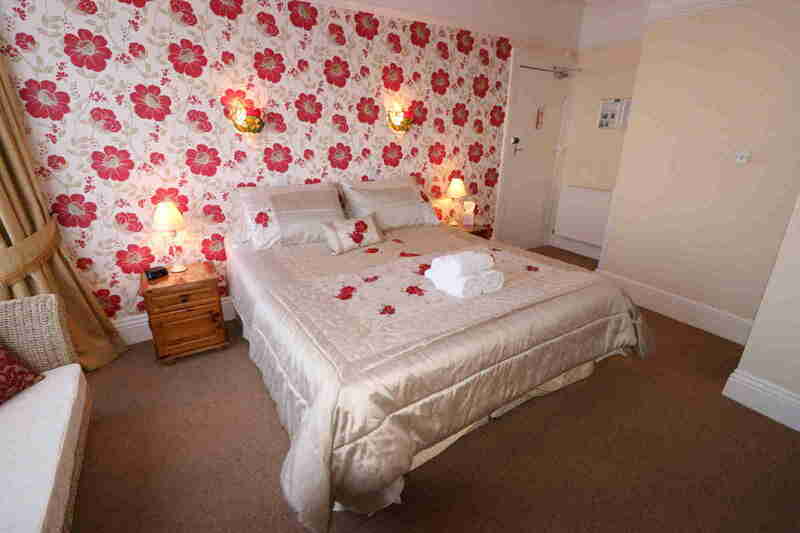 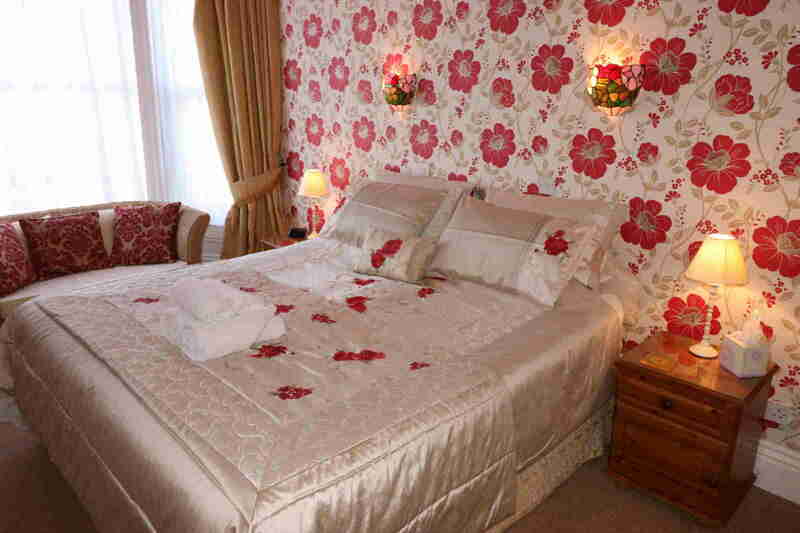 Room 9 is a bright and fresh room perfect for relaxing with the one you love. 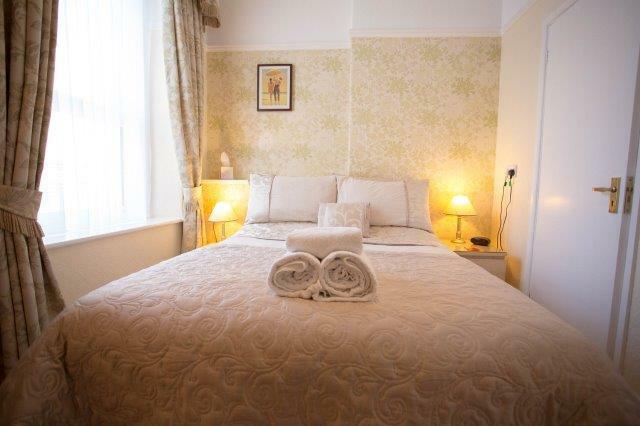 A chest of drawers and wardrobe provide more than ample room for all of your clothes and personal effects. 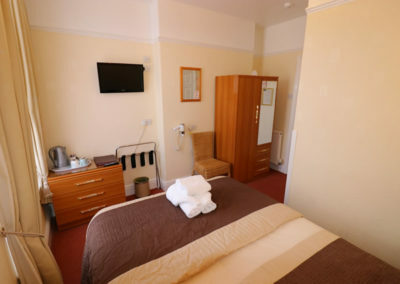 The room also has all of the items you would expect from a modern guesthouse; tea/coffee making facilities, towels and toiletries, hairdryer, flat screen HD TV (with freeview). 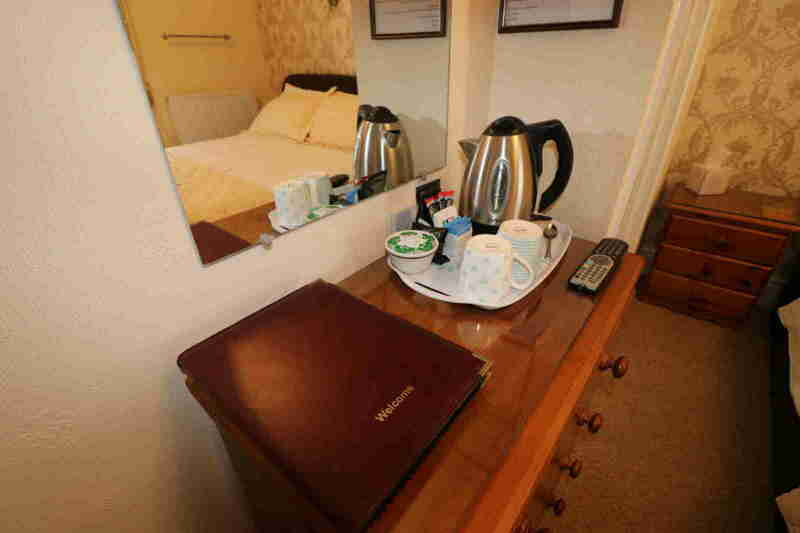 The room also benefits from a welcome book that not only provides instructions on accessing the free Wi-Fi network but also provides invaluable information regarding local amenities, must-see attractions and all of the best places to eat! Room 10 is an en-suite Super-King sized double room on the third floor. 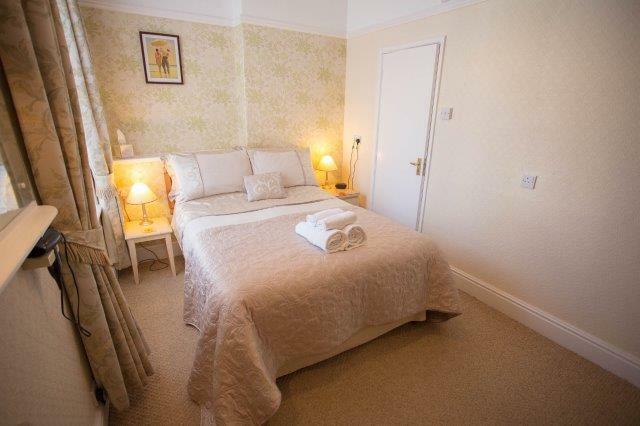 This street facing room is one of our most popular rooms due to its size, styling and comfort and the Super-King sized bed is perfect for a restful sleep. 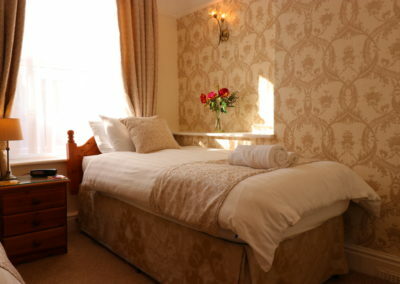 Room 11 is an extremely popular en-suite single room on the third floor. 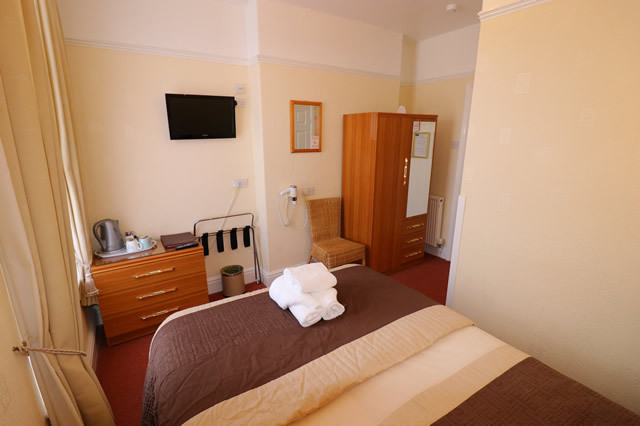 The room is street facing and the perfect size for a sole traveller, the large window not only allows for a great view but also means that the room is extremely light and fresh. 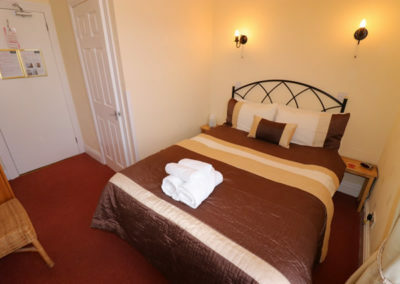 The room also has all of the items you would expect from a modern guesthouse; tea/coffee making facilities, towels and toiletries, hairdryer, flat screen HD TV (with freeview). 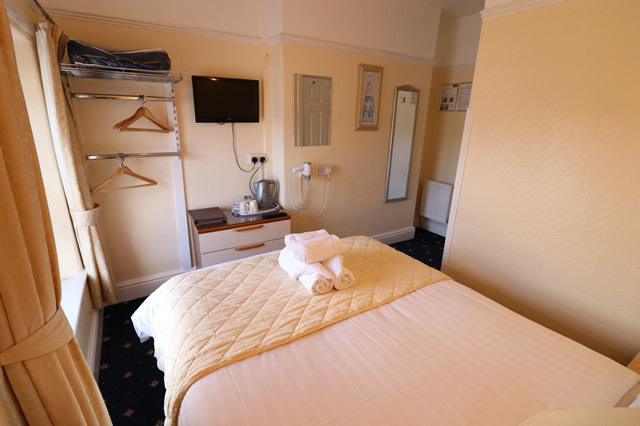 The room also benefits from a welcome book that not only provides instructions on accessing the free Wi-Fi network but also provides invaluable information regarding local amenities, must-see attractions and all of the best places to eat!